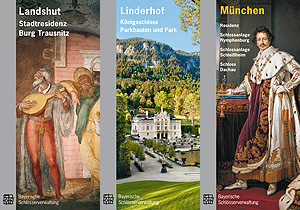 We offer a variety of leaflets on our palaces, castles and gardens, most of them also in English. Just send us your order or download the leaflets of your choice. 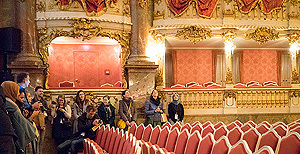 In some of the houses and gardens in and around Munich it is possible to book special guided tours in English for groups. 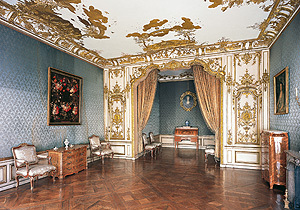 Both interior and exterior photo shootings of the objects of the Bavarian Palace Department are basically subject to approval and charges. Here you will find information on photography permits. 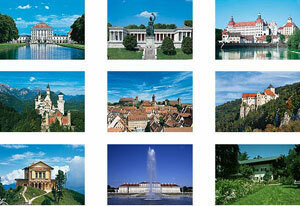 The Bavarian Palace Department has a large assortment of pictures available. Our photo library comprises not only a large amount of digital images but also around 20,000 colour slides and 40,000 black-and-white photos. Here you will find a selection of images of palaces, castles and gardens you may use free of charge on your website under certain conditions. 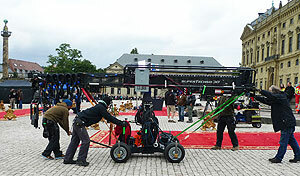 Both interior and exterior film shootings of the objects of the Bavarian Palace Department are basically subject to approval and charges. Here you will find information on film permits. 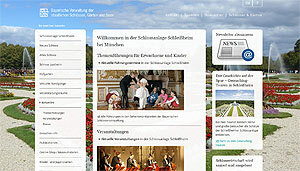 Take a look at the numerous other websites of the Bavarian Palace Department. You can use our contact form to send us your orders, questions or suggestions.